The Aug. 21 eclipse will sweep across the continental U.S. from Oregon to South Carolina along a stretch of land about 70 miles (113 kilometers) wide. Skywatchers within this path will experience totality, when the moon appears to move directly in front of the solar disk and casts a long shadow on Earth. Viewers outside of the path of totality will still experience a partial solar eclipse. 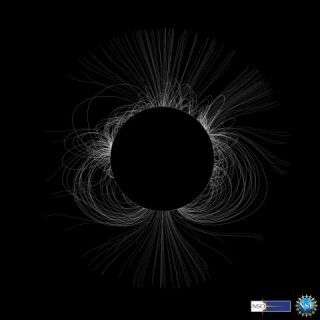 "The solar corona is largely an enigma," Valentin Pillet, director of the NSO, said in the statement. "For now, the best we can do is compare high resolution images of the solar corona, such as those we'll obtain during the eclipse, to our theoretical models. But DKIST will allow us to actually measure the magnetic fields in the corona. This will be revolutionary in the field of solar physics."